Many don't realize that there are several different types of lilies, and each blooms at a different time during the summer. 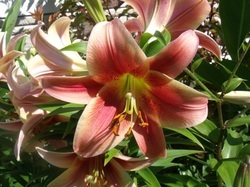 Asiatic lilies are hardy, pest-resistant plants. Asiatics bloom from late June through August. Cheerfully adapts to almost any garden conditions, including alkaline soils and hot summers! Will grow from 3 to 6 feet (more when established). 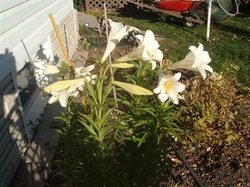 Better known as the 'Easter Lily', L.(lilium) Longiflorum normally flowers in July and August in the garden. Potted lilies forced for Easter bloom, can be planted into any well drained garden loam after the bloom is finished. Locate in full sun to light afternoon shade. Once planted in the garden though, they will revert to their normal blooming time which is not during Easter. 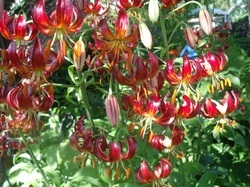 Martagon lilies are hybrids with dainty, down-facing flowers. 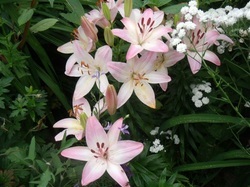 Martagon lilies prefer shady areas. They are the first to bloom in June. shade, mulching, or container culture if necessary. They are noted for enormous flowers and heavenly fragrances. fact, these hybrids will get taller and sturdier with each passing season. Bloom mid to late summer. 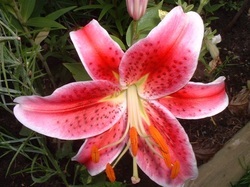 The petals of this lily resemble a trumpet giving them a distinctive appearance. Depending on the variety, they can grow between 1 and 8 feet tall. Trumpet lilies bloom in the mid- to late-growing season. 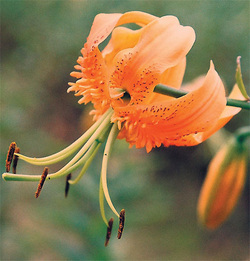 Species lilies are wild lilies, occurring in North America, Europe, India, and especially Asia. 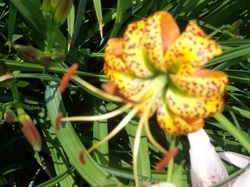 It is from these wild lilies that breeders have created magnificent hybrids. 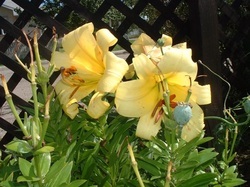 Species lilies often possess a delicate charm that appeals to many people. Many of the species make fine garden plants, while others are a real challenge to grow.